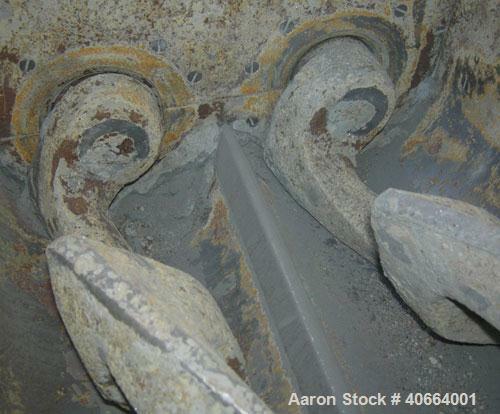 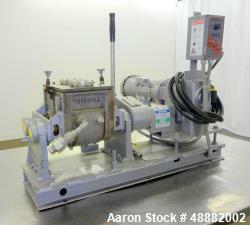 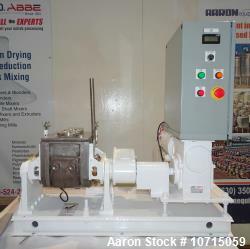 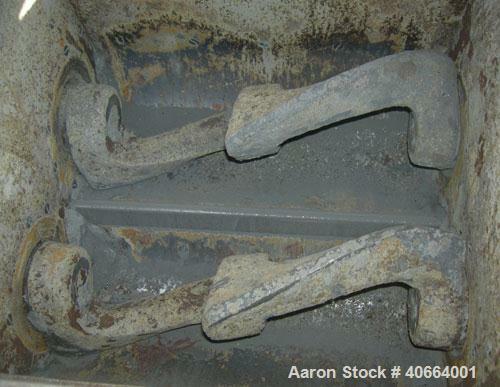 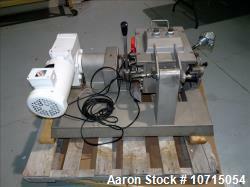 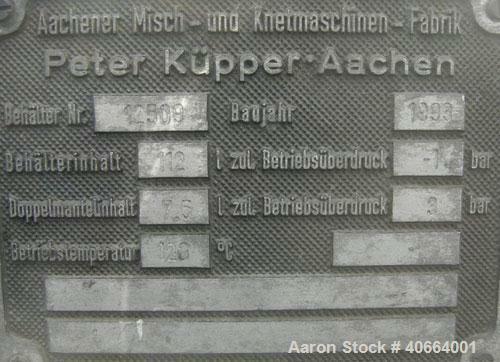 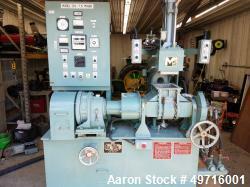 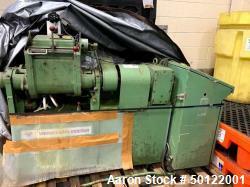 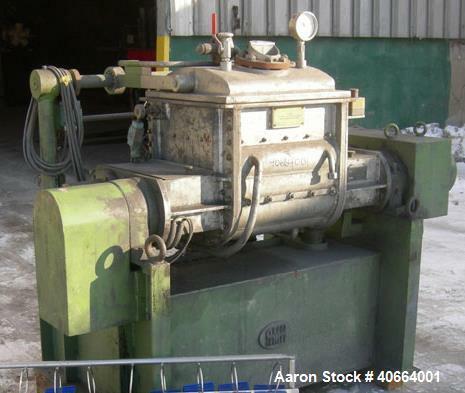 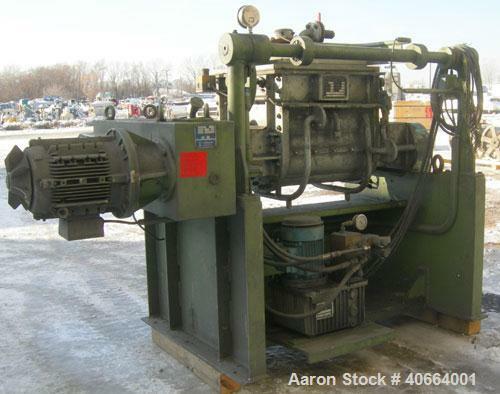 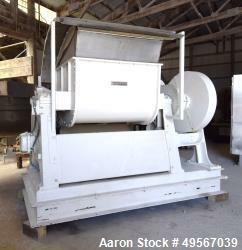 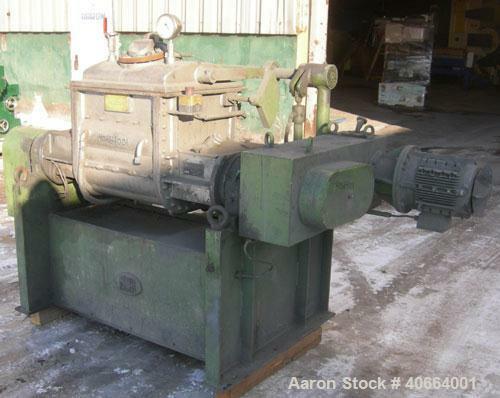 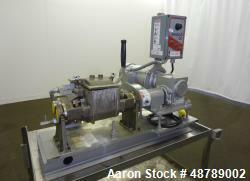 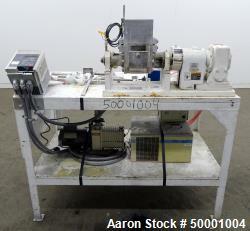 Used- AMK Double Arm Mixer, Type VII, Carbon Steel. 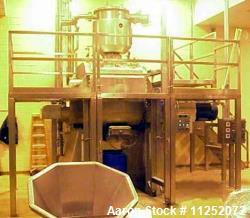 Approximate working capacity 15 gallon, (29 gallon/112 liter total). 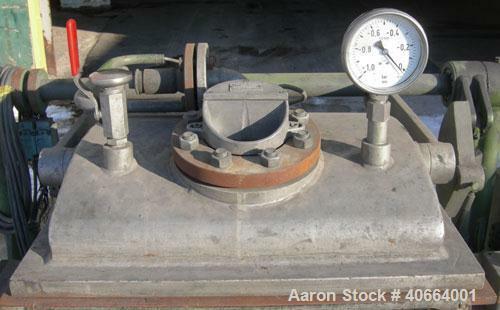 Jacketed bowl 20" left to right x 18-3/4" front to back x 15" deep, internal rated -1 bar at 120 degree C, jacket rated 3 bar (43 psi) at 120 degree C. Tangential sigma blades, geared one end, top safety grate, domed top cover with sight glass, suitable for vacuum. 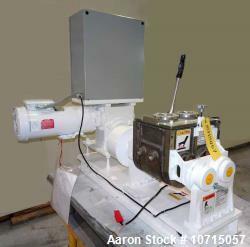 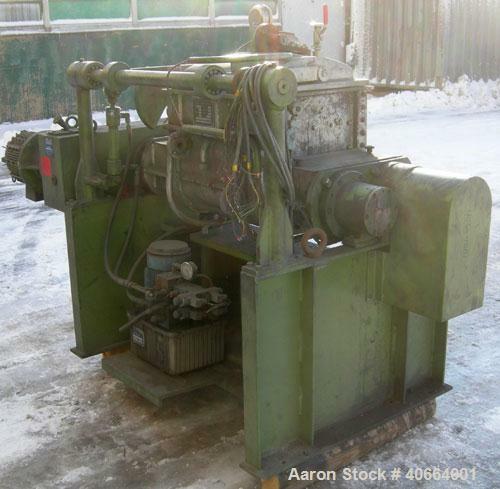 Single ram hydraulic tilt with power pack. 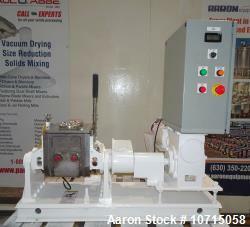 Mixer driven by a 7.5 kw, 3/50 motor thru a reducer.